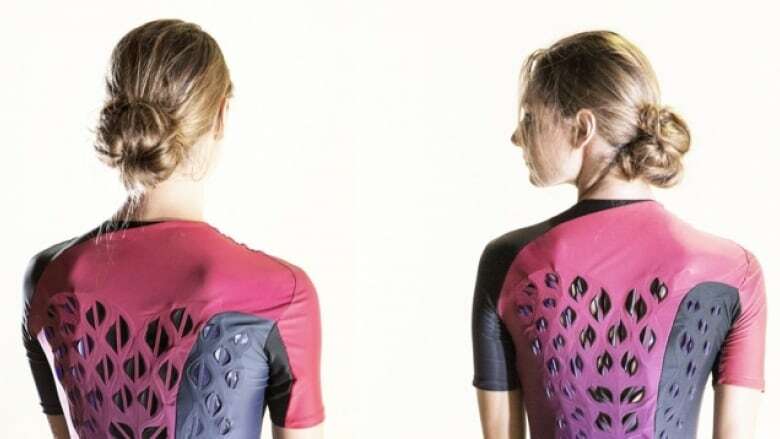 The lead researcher behind new workout gear prototype lined with microbial cells says that in the future our clothes will contain stain-eating bacteria. 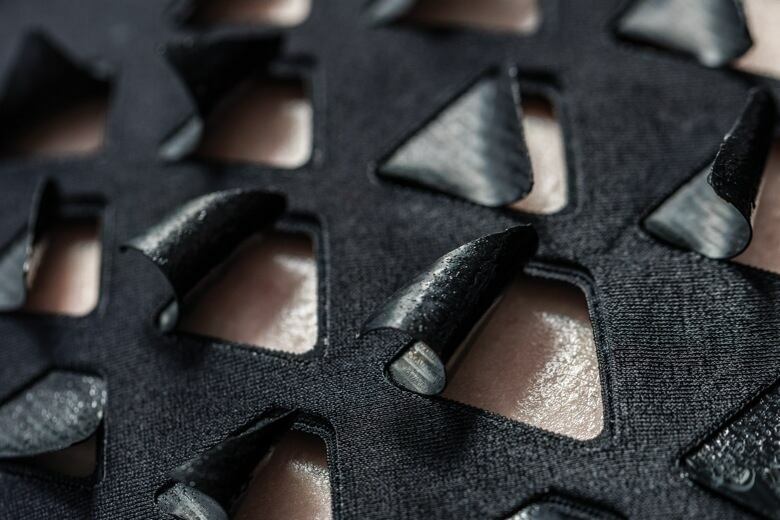 Researchers at MIT have created bacteria-based workout gear covered in ventilation flaps that automatically open up when you sweat. And that's just the beginning of what they say "living clothing" will eventually be able to do for us. 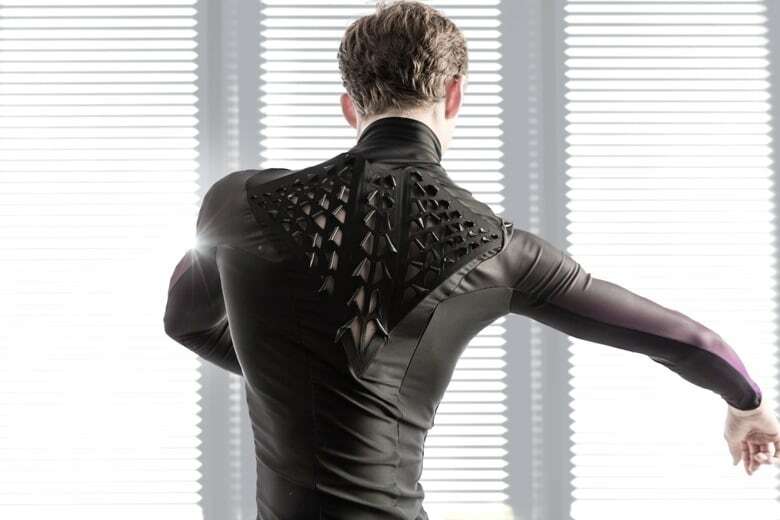 The team of 14 MIT researchers, funded by New Balance Athletics, have created prototypes of men's and women's workout gear, as well as sneakers. "It helps to evaporate your sweat more efficiently," Wen Wang, chemical engineer and lead author of the paper published in the journal Science Advances, told As It Happens host Carol Off. The prototypes are covered in tiny flaps lined with bacillus subtilis natto — a bacteria used to ferment soy beans in Japan. As the bacteria react to the body's humidity, they change the shape of the fabric, adjusting the outfit's flaps to keep you warm or cool you off. "Imagine you are running on a cold morning and at first you want to keep yourself warm, because it's so cold outside. And after you work out a little bit you feel warm and humid," Wang said. "Normally we wear multiple layers … but in this case you don't need to wear multiple layers, you just need one suit." But Wang said this is just the beginning of what's in store for what she calls "living clothing." One day she hopes to engineer bacteria-lined clothes that are also self-cleaning. "The common thing we want to wash out are, like, blood, wine or some dust or some foods. Imagine if you have a living clothing that can eat up all this material and also maybe create some nice smell out of it so you don't need to wash your clothes anymore," she said. "That's our vision and also it will be our future work. So basically the bacteria will eat up all those stains and also utilize them as the food and produce something we need, such as nice vanilla smell or a rose smell."